Every jewellery collection needs a silver snake necklace. 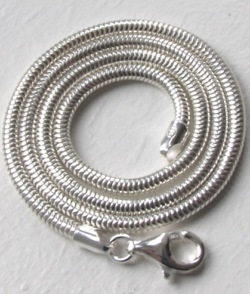 Our silver snake necklaces are made in Italy from sterling silver. 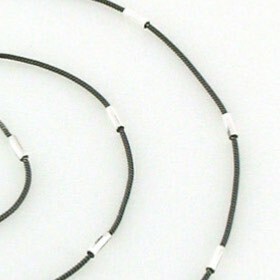 These are real, round snake chains and move in a fluid sleek way curving not creasing. Offered here in the widest array of widths and lengths available, you need search no further. 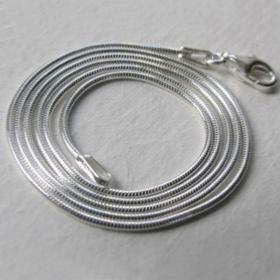 In addition to our classic snake chains, we also offer a large selection of other silver necklace styles. Our silver chain necklace collection is made for us in Italy and includes all the favourites:belcher, ball, link, byzantine, rope, wheat, mesh, box, popcorn & omega chains. 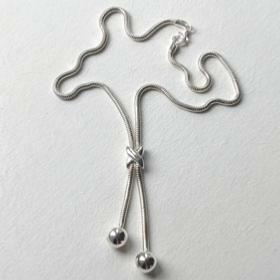 All in quality sterling silver. 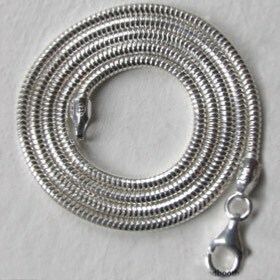 Italian sterling silver real snake chain width 5mm. 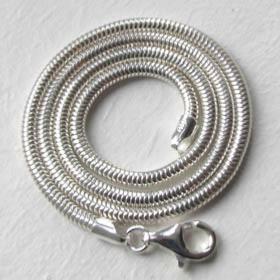 Italian 3mm sterling silver snake necklace with ball ends. 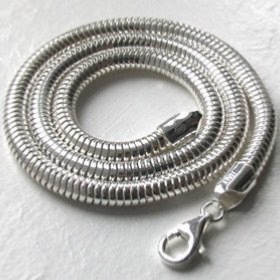 Lengths 16", 17" and 18"
Italian sterling silver snake chain, width 1.2mm with diamond cut tubes and ruthenium plating.